Turkey and Australia are “making progress” in mending their relations after President Recep Tayyip Erdoğan angered Prime Minister Scott Morrison by warning that those who come to Turkey with ill intentions would be sent back in coffins “like your grandfathers were” in 1915. Mr Erdoğan was referring to the fate of soldiers from Australia and New Zealand – the Anzacs – who fell fighting the Ottoman Turks in World War One during the Battle of Çanakkale, also known as the Gallipoli campaign. 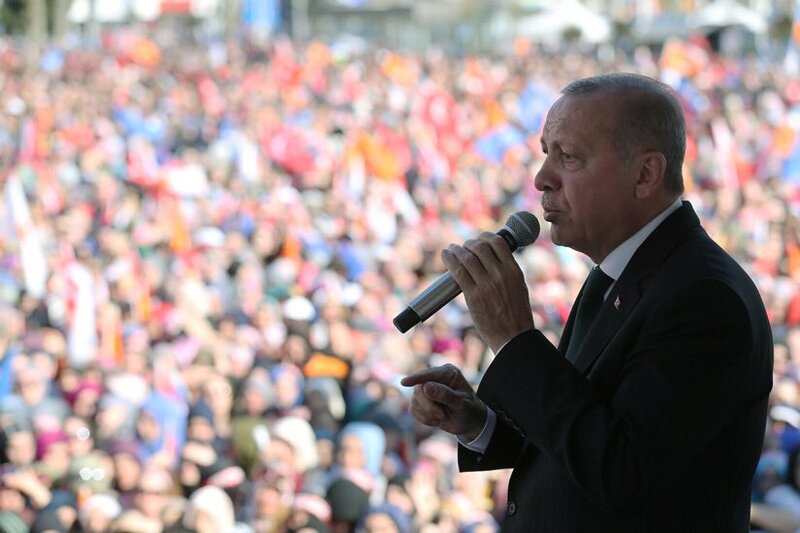 He made the comments in a speech at a rally on Monday, 18 March – less than two weeks before the country votes in local elections – to mark Turkey’s Martyrs’ Day and the 104th anniversary of the Çanakkale victory over the Allied fleet. During the speech Mr Erdoğan referred to the recent terrorist incident in Christchurch, New Zealand, that saw 50 people killed during an attack on two mosques. According to an official English translation of Mr Erdoğan’s speech published on his office’s website, he drew attention to the “threats” against Turks contained in the “manifesto” of the Australian citizen charged with carrying out the New Zealand killings. “This is not an individual incident, but an organised one,” Mr Erdoğan said. “We are here. We are in Çanakkale. We are in this country – with its Thrace and Anatolia. “Turks, Kurds, Arabs, Circassians, Bosniaks, Georgians; we are all here, in Çanakkale, in Turkey. We have been here for a thousand years. “We will be here till the end of the world. You won’t be able to make Istanbul Constantinople. “Your forefathers had come and seen that we had been here. And then some of them had gone back on their feet and some others in coffins. Media reports said that stills of the manifesto and blurred footage from the Christchurch attacks were displayed during the rally, despite global efforts to remove it from social media sites. Main opposition Republican Turkish Party (CHP) leader Kemal Kılıçdaroğlu said Mr Erdoğan should be “ashamed” for “serving the interests of terrorists”, according to a report by Sözcü. President Erdoğan’s words sparked condemnation from Canberra, where PM Morrison announced a review of Australia’s travel advice for Turkey. Thousands of people from Australia and New Zealand head to Turkey every year to commemorate Anzac Day on 25 April. “Remarks have been made by the Turkish President Erdoğan that I consider highly offensive to Australians, and highly reckless in this very sensitive environment,” he said at a press conference on Wednesday. Mr Morrison said that he had conveyed in “the strongest possible terms to the Turkish ambassador” the “deep offence Australians would be feeling” about the “truly upsetting” remarks. He continued: “In my own discussions with Turkish Australian leaders this morning, they have expressed to me their deep disappointment about these comments. “They don’t represent the views of Turkish Australians. Turkish Australians have made an extraordinary contribution to this country and particularly over more than a century as they’ve joined with us to commemorate the battles of Gallipoli. While he did not want to “engage in a cycle of recklessness” PM Morrison warned Turkey that “all options are on the table”. 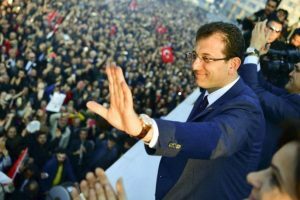 “The travel advisory to Turkey is obviously under review, and that is a process that will take some time and when that has been concluded, we will make a further announcement,” he added. Australia’s Department of Foreign Affairs currently advises its citizens to exercise a “high degree of caution” for trips to Turkey. 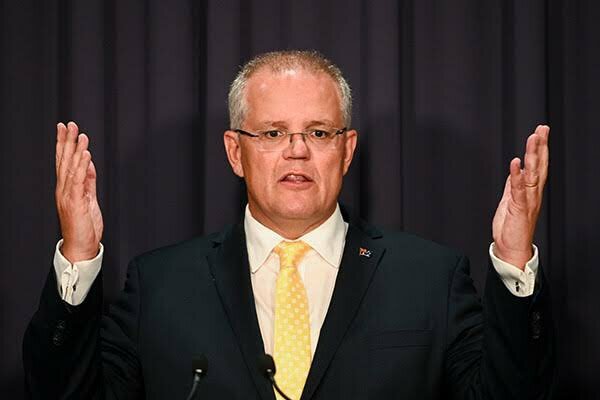 On Thursday Mr Morrison softened his stance, however, after Mr Erdoğan published an article in the Washington Post in which he “categorically” rejected “any attempt to associate last week’s terrorist attacks [in New Zealand] with the teachings, morals or maxims of Christianity”. Mr Erdoğan’s communications director Fahrettin Altun also issued a series of tweets in English in a bid to defuse the diplomatic crisis. “President #Erdogan’s words were unfortunately taken out of context,” he wrote. “He was responding to the so-called ‘manifesto’ of the terrorist who killed 50 innocent Muslims in Christchurch, New Zealand. “Turks have always been the most welcoming & gracious hosts to their #Anzac visitors. “The terrorist’s manifesto not only targeted Erdoğan himself but also the Turkish people and the Turkish state. “As he was giving the speech at the Çanakkale (Gallipoli) commemoration, he framed his remarks in a historical context of attacks against Turkey, past and present. Mr Altun then posted to Twitter a lengthy translation of what Mr Erdoğan “actually said”. 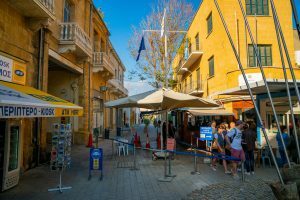 The damage limitation exercise appeared to have had the desired effect, with Mr Morrison welcoming Mr Erdoğan’s article – although standing by his initial reaction. “Overnight, progress has been made on this issue and overnight we’ve already seen a moderation of the President’s views, expressed in an article in the Washington Post today and I welcome that moderation in those views,” he was quoted as telling Australian media. The diplomatic row occurred while Turkey’s Vice-President Fuat Oktay and Foreign Affairs Minister Mevlüt Çavuşoğlu paid a visit to New Zealand to “convey condolences on behalf of President Erdoğan and the Turkish nation, and to show our solidarity with the people of New Zealand”, a statement from Turkey’s Foreign Affairs Ministry said. On Wednesday Mr Çavuşoğlu had a phone conversation with his Australian counterpart Marise Payne, Turkish media reported, although no details of the discussion were given. Meanwhile Sky News in Australia reported today that New Zealand’s Foreign Minister Winston Peters was travelling to Turkey to “confront” Mr Erdoğan. “Since he’s been apprised, or informed of the facts, he’s made a very conciliatory statement today . . . which would stand in stark contrast to what he said the other day,” Mr Peters said.